Alan Moore and Eddie Campbell’s From Hell is a fascinating, complex and layered account of the story of Jack the Ripper, the famous serial killer who took the lives of five prostitutes in Whitechapel in the fall of 1888. The book takes its title from the opening line of one of the many letters sent to the police in the name of the killer – the “from hell” letter stands out because it’s one of the few believed to possibly have been real. From Hell isn’t written as a mystery: Moore’s theory about the identity and motivation of the killer, which is largely based on the book Jack the Ripper: The Final Solution by Stephen Knight, is made clear from the beginning. I won’t tell you everything, though I easily could without spoiling things for you. The theory involves a conspiracy to hide a royal birth, and like pretty much all attempts to “solve” the Jack the Ripper mystery, it has been disproved. But that isn’t really the point. The point is that it makes for a good story, and even more importantly, that it gives Moore the opportunity to make some interesting commentary on the Victorian age. Alan Moore has said that From Hell was partially inspired by the concept used by Douglas Adams in his Dirk Gently’s Holistic Detective Agency series: according to Adams, to solve a crime one needs to solve the entire society in which it took place. From Hell, then, is focused as much on the context of the murders as on the murders themselves. This is a book about a society in which women with no work options whatsoever were forced into prostitution and lived a hand-to-mouth existence; in which, after the first body was discovered, the police interrogated Native Americans at Wild West shows in London because the crime seemed to them “too savage” to have been committed by a white man; in which the gap between the rich and the poor, the powerful and the powerless, was ever-wide; in which only a few questioned what might be hiding behind the façade of respectability. But of course, social inequality, poverty, racial profiling and prostitution are far from being confined to the Victorian age. From Hell is as much about the nineteenth century as it is about the twentieth – specifically, it’s about how the 1880’s foreshadow much of what would happen in the twentieth century. In many ways, it seems to me that the 1880s contain the seeds of the twentieth century, not only in terms of politics and technology but also in the fields of art and philosophy as well. The suggestion that the 1880s embody the essence of the twentieth-century, along with the attendant notion that the Whitechapel murders embody the essence of the 1880s, is central to From Hell. This is an idea I find very interesting, and I’ve actually written about how one of the things that I find so appealing about the Victorian age is exactly the fact that so much of what we struggle with today can be found there too. However, my own outlook is a bit more positive than what can be found in From Hell. This is a difficult idea to articulate, as I’d hate to sound like I’m dismissing or minimising the social horrors, wars and violence, or environmental disasters of the twentieth century. But despite all this, I’m one of the last few remaining believers in that much maligned concept, progress. This isn’t because I think things have gotten better necessarily, but because I believe that they can. If previous centuries weren’t as bloody as the twentieth, it was only because humankind lacked the technology to make them so, not because people had more scruples. Lest it sound like I’m saying that From Hell offers a nostalgic or glorified vision of the past and vilifies the present, let me clarify that it absolutely doesn’t. It’s much too complex a book to offer any single simple idea. This was only one of the many directions in which my thoughts strayed as I read it – and thoughts, ideas, possibilities and most of all questions about the past, the present and the future are what this book is all about. Another thing that I found interesting is the fact that misogyny is one of the major themes of From Hell. It’s not difficult to imagine that the murder and violent mutilation of five prostitutes was motivated by hostility towards women, but most accounts of the crimes seem to find this hostility too common a feature of the Victorian period to be worth acknowledging at all. Moore’s take, however, brings it to the forefront of the story. And before I discuss this any further, let me answer the question you might be asking yourselves – how violent is this book? I say this because I, too, tend to be wary of books or films that detailedly depict violence against women under the pretext of denouncing it. From Hell does depict the murders themselves, but the clinical detachment with which the killer operates makes them easier to bear than they would have been otherwise. All five women are drugged with laudanum and then killed quickly before the mutilations begin, so there’s no voyeuristic dwelling on how much they may have suffered. Most of all, though, I think that what counters the exploitation of an act of violence that tends to surround Jack the Ripper stories is the humanity with which Moore portrays Polly Nichols, Annie Chapman, Elizabeth Stide, Kate Eddowes and Mary Kelly. We meet them long before the murders; we watch them struggle to earn enough for a meal and a place to spend the night; we see the threats of violence that constantly surround them; we are invited to recognize their full humanity. It’s no accident that From Hell is dedicated to these five women: this story is an acknowledgement that very often in these crimes, the victims themselves are forgotten. We look at the crimes as logical puzzles, and in the process we forget all about the real people who lost their lives at the hand of the killer. This is a problem that Kate Summerscale’s otherwise wonderful The Suspicions of Mr Whicher acknowledge, but only as an afterthought. I liked the fact that in From Hell the idea of returning the victims their humanity took centre stage. Another aspect of the killings that Moore’s account emphasises is their ritualistic aspect – again, something that isn’t difficult to believe given the treatment of the bodies. This ties in with the misogyny, but unfortunately it was at this point that the book more or less lost me. There’s a lot of metaphysical and mystical speculation of the Jungian and The White Goddess variety, which I’m sure a lot of people will find more interesting than I did. Perhaps “interesting” is the wrong word, as I did find it that – but it worries me to speak of “masculine” and “feminine” principles, even if the terms are being used metaphorically. I’m very wary of anything that naturalises socially-acquired gender traits, so I tend to always be suspicious of this kind of discussion. To be fair on Moore, he does present these speculations are exactly that – speculations – and I never felt like the book was trying to sell me an idea. Again, From Hell is too complex for that, and it offers so much ideas-wise that not being interested in one of its theoretical aspect didn’t detract from my overall enjoyment. As for the reading experience itself: I loved the art in From Hell, and I loved the book’s atmospheric noir, Gothic feel. But I have to say that this is quite an overwhelming book, in the same way that Bryan Talbot’s Alice in Sunderland is overwhelming: there’s just so much here. I recommend reading it slowly, and perhaps going through the annotations in the first appendix as you finish each chapter, which is what I started doing once I was a few chapters in. I think that anyone but a great expert in the Victorian age would benefit immensely from them. It’s not that the story is otherwise confusing, but the notes are meant to help readers make sense of the many historical references, some of which are quite obscure. And this, of course, makes the reading experience even richer. Truth is, this has never been about the murders, nor the killer, nor his victims. It’s about us. About our minds and how they dance. Jack mirrors our hysterias. Faceless, he is the receptacle for each new social panic. He’s a Jew, a Doctor, a Freemason or a Wayward Royal. Soon, somebody will notice the disturbing similarities between the Ripper crimes and recent cattle mutilations, from which they will draw the only sensible conclusion. While the panel examples you gave look absolutely gorgeous, I'm not sure I could handle this book. Mutilations - towards women OR men, to corpses OR live people - just make me shudder. Is this book what the Johnney Depp film was based on? I'm forever interested in Jack the Ripper and discussed it to death with my friends but didn't know this was by Alan Moore for a long time. I'm still in the middle of reading Watchmen (it's brilliant but really hard to get through) but I really want to read this afterwards. It seems Moore has left no stone unturned and I'm interested to read his complex explanations. This looks like a graphic novel I might really enjoy. I love the historical take, and look at Jack the Ripper. I really don't know much about him, but this sounds like a full and fascinating tale that covers so much ground. Great review! Jack the Ripper has always interested me. Especially how he's used in popular culture even today. It's been awhile since I read anything about "him" though. Sounds fascinating, but that cover is totally creepy. I thought Jack the Ripper had killed more than 5 people. 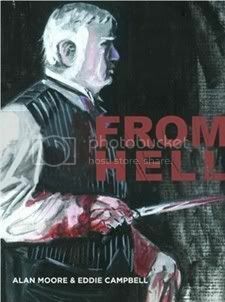 wasn't there a movie called From Hell about Jack the Ripper? I think I liked it. and I think Johnny Depp was is it! anyway, this is a graphic novel, and by Alan Moore nonetheless, so of course I'd like to read it. Also murders + victorians is always an interesting combination. I love it! This sounds like one of those books you could read over again and discover something new. Definitely going on my wish list. I think the focus on the victims a nice change for a "serial killer" book as you are too right in that we tend to see serial killers as a logic puzzle, a fascinating problem to be solved, and we lose our compassion for the victims in our intellectual curiosity about the perpetrator(s). That cover art is just crazy! What is it about Jack the Ripper in particular that everyone is innately drawn to? Probably that he was never caught. I read a book years back written by Patricia Cornwell where she actually applies modern DNA and forensic science to the case and arrives at a conclusion of the killer. Now, I'm not a die hard Cornwell fan, but the book was compelling, and fascinating in a true crime kind of way. Gave me nightmares actually. Great review. I'm going to have to chase this one down in my library. I had a philosophy professor (his specialty was Kierkegaard) who loved to stress that the modernity began in the 19th century. And if you think of philosophy as the trend-predictor of thought, that's very true. I suspect the idea there is this huge chasm between those quaint Victorians and "us" is a legacy of early-20th-century intelligentsia, as they struggled to make an adolescent's break with their past. Yes they were pointing out real differences, and there were huge cultural changes, especially with the first world war, but it is an emotional construct at the same time. It backfired on them, though! When you manage convince everyone that that the near past was so totally other, it gains this huge potential to become idealized--most extreme in the popular conception of Victoriana as sweet old aunts and frilly parlours and proper young ladies succumbing to deliciously risque affairs involving layers of sumptuous undergarmets. A lot of terrible YA fiction in this camp! And then, something like Jack the Ripper flabbergasting everyone, because he just doesn't fit the picture. Worst of all, not knowing what to do with him, is when they romanticise him to try to MAKE him fit. Bad Victorian-grotesque fiction is the result--something I find very disturbing. Those crazy Victorians! Still able to throw us in moral tizzies from the grave! By looking at the illustrations that you provided in your review, I conclude that this book may have been the inspiration for the movie of the same name, starring Johnny Depp. I loved the movie, but have never seen the book before. I bet it would be a really great read for me, and I thank you for sharing this review with me! If you haven't yet seen the movie, I do highly recommend it!! It's not too gory and tells the story with in a way that sent chills through me. Ooh a graphic novel about Jack the Ripper! I have a rather morbid fascination with Jack the Ripper and I know I would enjoy reading this. I don't normally find any serial killers of interest, but the story of Jack the Ripper has fascinated peoples for years. I'll echo your other commenters... a graphic novel about Jack the Ripper sounds very intriguing. Great review! Thank you for the introduction. What fascinates me about Jack the Ripper is that people are still so fascinated by him! 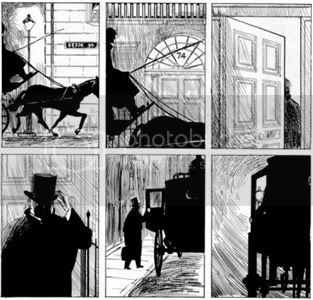 What is it about such a grisly murderer in Victorian London that caught the imagination in a way that no other grisly murderer did? I wonder if it's because he went for prostitutes? I don't know. Great review Nymeth, I watched the film version of this and it really creeped me out. Wow, this is definitely a heavy book. I'm interested in reading it, actually! True crime stories are usually fascinating (especially Jack the Ripper). But they're too scary for me. Graphic novel form could probably be a better option. Mm. I saw the movie and loved it. 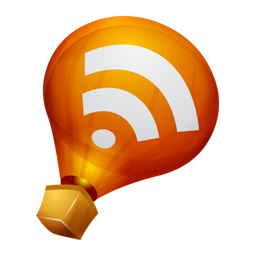 Thanks for mentioning this! Amanda: It's not actually THAT graphic, but yeah, probably more than you'd be comfortable with. Especially the last murder. Stu: I think graphic novels are excellent :) If you're a fan of Victorian macabre, then I'd definitely recommend this. Sakura: Well, "based on" might be a bit of an overstatement, as apparently they share little more than the title and the concept :P I know what you mean about Watchmen. I really liked it, but I took my time with it too. Amy: I don't know anyone knows much about him to be honest :P But the speculations are fascinating. Jen: This was actually my first ever Ripper book - but I can see the appeal. Kathy: These five murders are called the "canonical" ones. There are some who attribute others to the Ripper, but there are also those who say it's not likely that these five were committed by the same person at all. Trisha: I think it's only natural to get so excited about the logical puzzle that we forget the person at the centre, but it's also nice to see a book that counters that tendency. Jenny: Though I like him so far, I don't love him as much as I feel I ought to :P Which makes me sad. Joanne: I think you're going to like this a lot - it's definitely about a LOT more than the grisly details! It's hard for me to resist a book like this given my true crime reading habits! I need to remember this one as a choice for my graphic novel reading challenge! Sandy: I think you're right - it's the lingering mystery that stays in people's minds! Trapunto: I'm very happy to provide the free samples ;) I love your comments on the Victorians and on the us-and-them chasm. Those attempts to distant them from us DO sound very much like an adolescent rebelling against its parents. But the more I read about the Victorian age, the more the similarities strike me. Zibilee: Yes, it was, though I hear they're very different. Alan Moore disowned it, I think, but then again he always hates movies based on hid books :P I've yet to watch any, so I can't say if it's with good reason or not. Anyway, the book isn't too gory either, but it's certainly atmospheric and intense! Vivienne: Then this is right up your alley! Aarti: I think that the fact that he attacked prostitutes in one of the city's poorest areas makes room for LOTS of social commentary, and that's one of the things that makes his story so interesting. 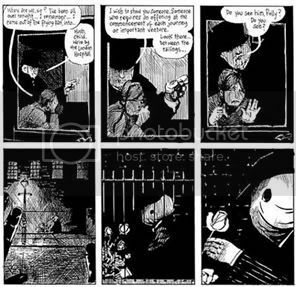 I heard of The London Monster for the first time in From Hell - Alan Moore takes note of the fact that his attacks happened exactly a hundred years before the Ripper's. That definitely sounds like something I'd like to read more about. Naida: I'd like to watch it sometime, but I think I'll have to wait a while to be able to dissociate it from the book. Mee: I actually didn't find this one scary - atmospheric, yes, but not scary. Maybe because it happened in the past? Andreea: As I was telling Emidy I'd like to watch it, but probably not any time soon. This looks fascinating. I understand what you mean by it best being read a bit at a time - I felt the same way about Watchmen - it was so dense and had so much going on that I found myself having to take a little time to digest each part. I started to type a big long comment about violent crimes in the Victorian era but I'll keep it short and just mention that I really need to read Kate Summerscale! Graphic novels are something I still shy away due to cost. Plus, I'm not sure if I have the guts to read this but it is intriguing. I'm not a big fan of the movie, although I tend to like things related to Jack the Ripper theories. So I've stayed away from the graphic novel. It's an excellent book and Moore's generous appendices led me to Peter Ackroyd's Hawksmoor and Iain Sinclair's Lud Heat. Like Danielewski's House of Leaves though - it kinda broke my brain, so I've only read it the once. I haven't even given Lost Girls a gander yet. Moore's makes his fans work for his insight. Anyone who's got beyond the first chapter of Voice of Fire knows that.